Kitchens have become the family and social gathering points in many homes, and that has increased the emphasis that homeowners place on the appearances of their kitchens—especially when they’re years or even decades out of style. However, major kitchen remodels can be expensive, time-consuming, complicated, and even intrusive, causing you to be unable to use your kitchen for weeks or even months while work is in progress. Thankfully, there’s a better way to dramatically change the appearance of your kitchen: cabinet refacing. It works by covering your existing kitchen cabinet structures with thin veneers of real wood or high-quality Thermafoil laminate, significantly changing their appearance and updating them to better fit modern designs and styles. 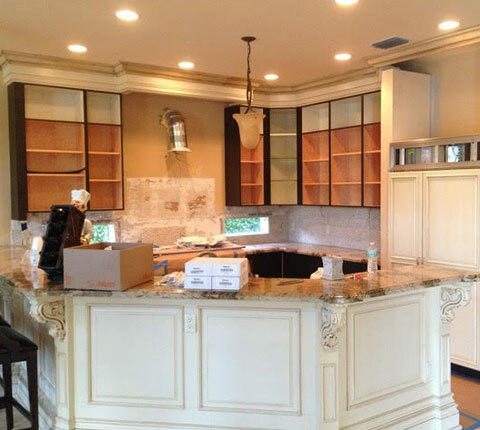 Our team of skilled refacing technicians will delicately prepare the original cabinetry, so the new veneers fit perfectly and look like brand new cabinets. All doors and drawers are then completely replaced with brand new pieces custom-fitted to match the new material and ordered directly from the factory. Whether you’ve grown tired of the way your kitchen looks, or you purchased a home with a less-than-stellar looking kitchen, cabinet refacing from Factory Direct Renovations Group is a great way to get the kitchen of your dreams without breaking the bank or signing off on a major construction project inside your own home. What Are the Benefits of Cabinet Refacing? Price – Cabinet refacing cuts some of the most significant costs associated with kitchen remodels, including the labor-intensive demolition of existing cabinets and installation of new cabinets, as well as the additional cost of the new cabinet structures. Shorter turnaround – Replacing kitchen cabinets the traditional way is no quick or easy feat, and you may have contractors in your home for days or weeks on end. With cabinet refacing, most jobs are completed within two to three days, depending on the size of your kitchen. Easier to book the job – Major home remodeling projects require building permits, which can involve a lengthy process and a waiting period. Cabinet refacing, on the other hand, is a much simpler process and doesn’t require any permits in many municipalities in Florida. Fits all types of budgets and needs – As with all home remodeling and décor projects, cabinet refacing work can vary from home to home and from budget to budget. 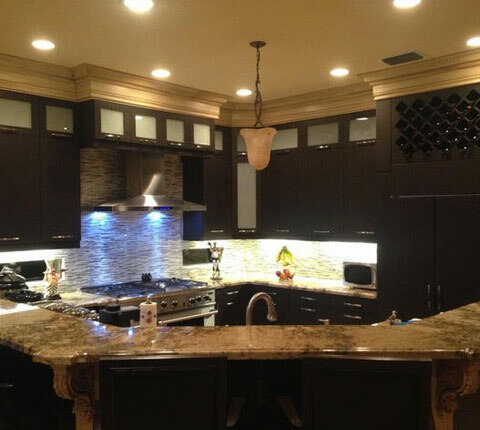 Whether you want to bring your kitchen into the 21st century or turn it into a breathtaking centerpiece for your home, you can count our team to get the job done. No changes needed in the layout or function of your kitchen – Homeowners who book traditional kitchen remodeling work always run the risk of ending up with poor craftsmanship, low-quality materials, or flawed installation processes. But with cabinet refacing, the structural integrity and layout of your cabinets and kitchen remains the same—only their outer appearances will change. In addition, every home remodeling project from Factory Direct includes free design consultation from Interior Designer Bruce Imhoff. Bruce and his team will help you choose a design and color scheme for your kitchen — covering everything from the backsplash and countertops to paint and flooring — that perfectly complements your home’s existing décor and takes your lifestyle into account. 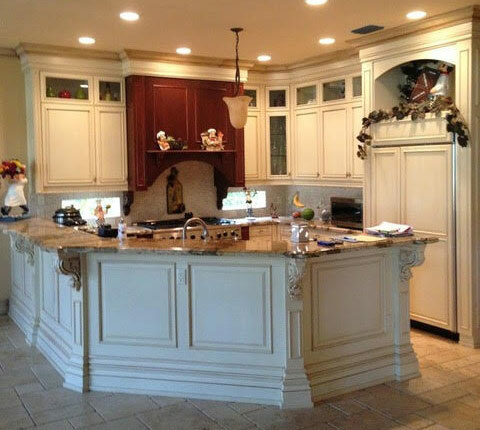 At Factory Direct Cabinet Refacing, we make it easy for you to get the kitchen of your dreams. You can contact us in Palm Beach County at (561) 220-3510 and in Dade and Broward Counties at (954) 248-4040. If you’re ready to get started, our free in-home design consultation can help you envision how your kitchen will look with a variety of cabinet refacing options, and we offer free design consultation for all potential customers who are interested in transforming their kitchens. Finally, you can move ahead with your cabinet refacing project with the utmost confidence, as our work is backed by a lifetime warranty. Simply put, it’s built to last and designed to look beautiful for years to come.